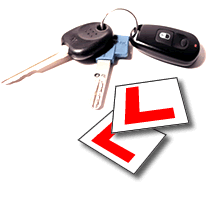 Learning to drive with cert2pass Driving School Glasgow - Your ticket to a driving test pass!! You can choose to take hourly driving lessons over a course of time, suited to your own learning pace, or even take the quicker route and do the "Specialised Intensive Driving Courses" - from 2 to 6 weeks! Your instructor will help you gain the driving skills you need to drive safely for the rest of your driving life! We are proud of our excellent driving school pass rate! Be taught by a driving standards agency grade 5 qualified instructor! We have specialised intensive driving courses in Glasgow! We offer block booking and other discounts for all driving lessons! Cert2pass is also Pass Plus registered! We offer mock driving tests too! And of course we offer a door to door service for all driving lessons in Glasgow! New updates to the driving test - watch the video. .............. you can do it with Cert2Pass Driving School!! !